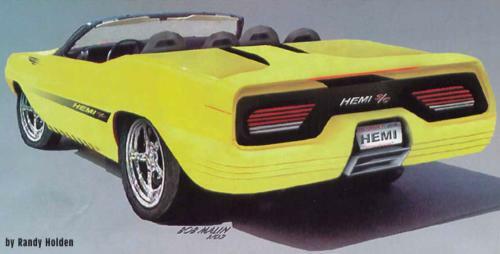 How about a 200-mph 4-seater Hemi? Tommy White and the guys at Aloha Automotive Services in Port Washington, WI, are seeking the green light from DC to build the Hemi S/C. A grand project that would turn out 4-seater 200-mph E-body inspired machines, based on a lengthened Viper chassis, powered by a Kenne Bell blown 5.7L Hemi capable of putting down 750 horses.